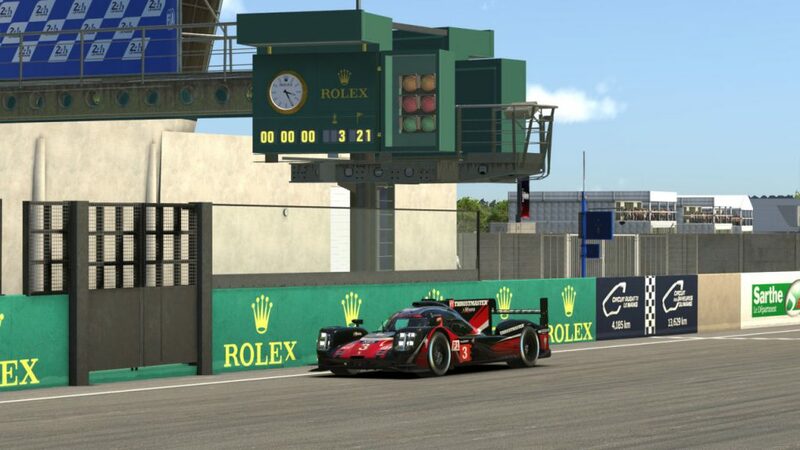 Entering this weekend’s RaceSpot 24 Hours of Le Mans — the NEO Endurance Series season-five finale — the championship leaders in each class knew what they needed to do to lock up the titles, while their opponents had their sights set on victory if they hoped to wrestle the away the points leads. Perhaps the least surprising result came in the P1 class. After last weekend’s record-breaking pole position lap by Marcus Hamilton, he was back behind the wheel of the Thrustmaster Mivano Racing #3 Porsche 919 at the green flag. While they didn’t lead all of the laps — early on, they were challenged by AVA Vervatic, Porsche Basel by Sorg Rennsport eSports, and Race Clutch — Mivano maintained a presence at the front of the field throughout the race. With less than a half-hour remaining, Mivano’s last close challenger, SimRC.de, hit pit road and Tommaso Carlà inherited the lead, which he held to earn the overall win — the team’s fifth this season — and lock up the inaugural NEO P1 championship. Mivano crosses the line to win the race and the championship. SimRC’s Claudius Wied was 10.8 seconds behind in second place, tied for their best result of the season, and Sorg was the only other car on the lead lap in third. In the P2 field, AVA Vervatic’s #39 team had a 20-point lead entering the race, and even with double points on offer, they knew a sixth-place result or better would secure the title. In the end, they pulled off a workman-like fourth-place finish that wasn’t as stellar as their four victories this season but got the job done to earn them the championship. The star of the P2 show was Torque Freak Racing, which started second but took the lead on the first lap and never looked back. Ronny Nunez, Jake Robson, and Dirk van Tulden combined to run the team’s most impressive and complete race of the season, and after 24 hours, they were more than a lap ahead of their nearest foes. 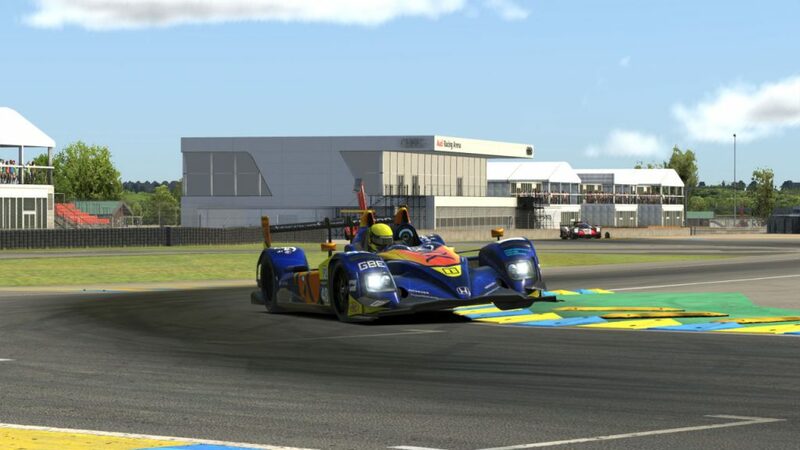 IRDK Endurance also finished its season on a strong note, earning a second-place result in the race and provisionally moving up to third in the standings after early issues for the polesitter from Apex Racing Team. Torque Freak was in control out front throughout the race. Late drama in the P2 class saw third-place TNT Racing hit the wall, handing the final podium position to Team Heusinkveld. TNT slipped to fifth at the finish, although they should be safely in the top eight in points. The closest championship battle in the standings was also the closest fight on track. 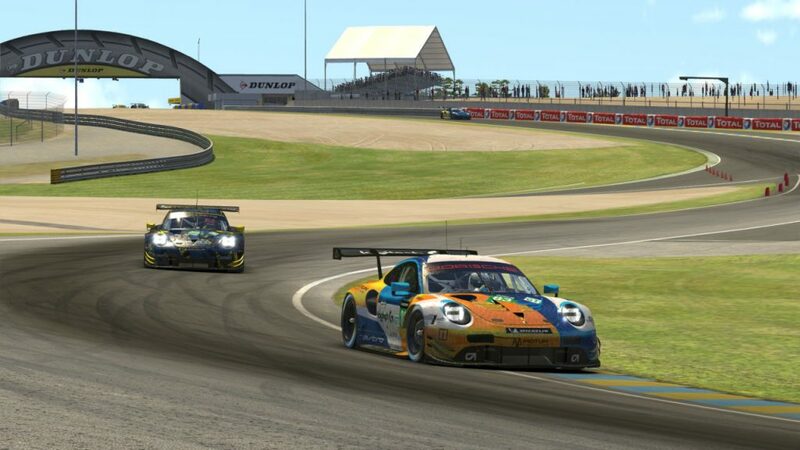 After some attrition among GT contenders early in the race, the top two teams in points found their way to the front of the field and separated themselves by almost a lap ahead of the competition, locked in their own tight battle for the race and championship victories. MSI eSports started from the pole and was among the frontrunners early on, but a technical issue on lap 77 cost them more than two minutes and put them well down the running order. However, their pace during the overnight hours helped them claw back the time lost and get back to the front. Meanwhile, Logitech G Altus Esports moved from tenth on the grid to the class lead after three hours of racing, but facing a narrow points deficit to MSI, they needed to win to take the championship. Altus leads MSI by just seconds in the final laps. In the final hour, each team had to pit for fuel, and a shorter stop for Altus’s Simone Maria Marcenò helped him emerge eight seconds ahead of MSI’s Marc Perez. Traffic kept that gap close, but Altus had enough to stay up front and earn top GT honors. While it was a heartbreaker for MSI, their season-long consistency showed in their recovery drive for a third consecutive runner-up finish and a fifth consecutive podium. Completing the top three was Redface Racing, which edged out Biela Racing Team EURONICS to give Ferrari its best result of the season in the competitive GT class. The days ahead will bring celebrations for the winners, some final calculations by the stewards to determine which teams will be invited back to season six, and perhaps some self-assessment among the rest of the field to determine how their hopes this season slipped away. But first, after a long 24 hours of racing and a tremendous overall season, everyone in the series will take some well-deserved rest. From Le Mans, bonne nuit.